Smart Bro Rocket is the fastest mobile broadband prepaid service in the Philippines and is running on SMART Communications’ nationwide HSPA+ (Evolved High-Speed Packet Access) network. Installation of the companion software was quick and easy. Simply plug the SMART Rocket usb stick in, OS detects software install, let it install and you’re ok. Simple, Quick and Easy. The Smart Rocket has advertised speeds of up to 12Mbps if you’re within a reasonable range of a HSPA+ site although i was surprised at how consistent the speed was even without HSPA+ coverage. I will be updating these speed tests as i manage to test the SMART in more areas. In comparison, my SMART Bro Power plug it normally gets around 500Kbps-1Mbps in those areas. 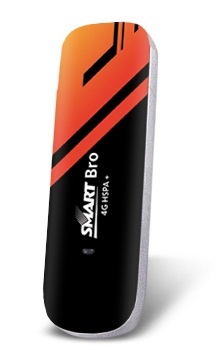 You can buy the Smart Bro Rocket at selected SMART stores at 3995 pesos.